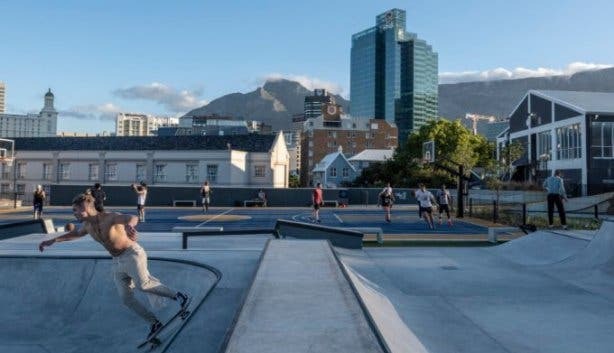 Skate, SUP, scoot and picnic – you can do a lot against the awesome backdrop of Table Mountain in the new Battery Park development space. “There’s no use creating a blank space and leaving it there. 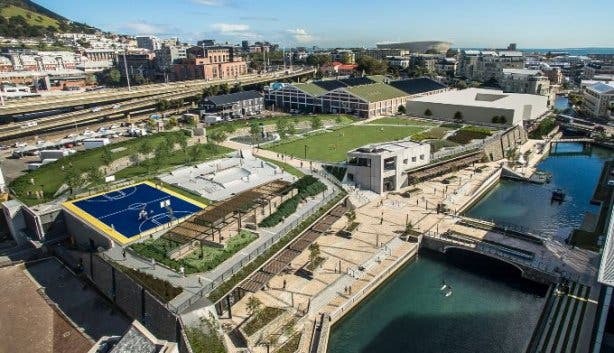 It’s all about activating it by making activities available for people to enjoy there,” says David Green, V&A Waterfront CEO. And we've just got word from architects of this exciting new city space, dhk Architects, that Battery Park is now officially complete and open. So bring the kids and come check it out this weekend. 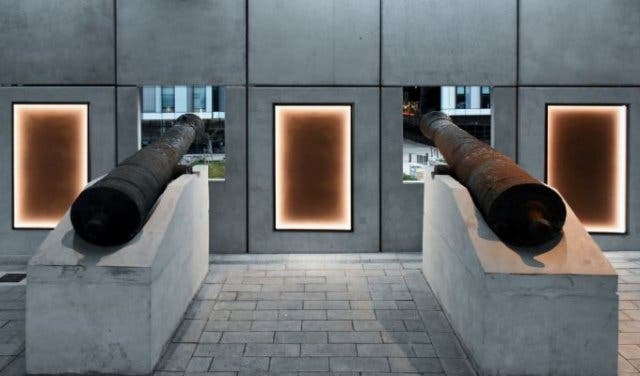 A battery is typically a fortified place for heavy guns. 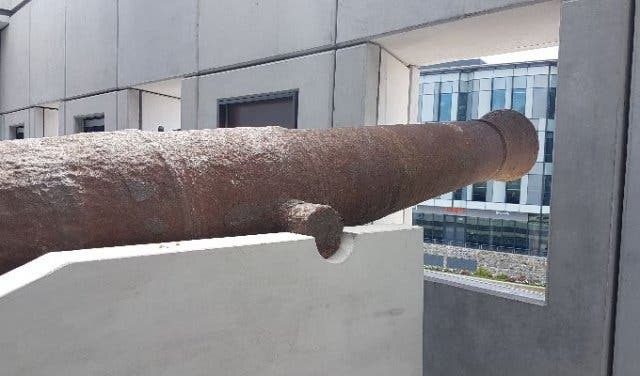 The Dutch constructed Cape Town’s Amsterdam Battery in 1784 to defend Table Bay Harbour from attack. In 1898, it was disbanded, and later, partially demolished to make way for the harbour. There are ‘battery parks’ around the world that consist of restored and improved spaces that once served as a battery, and now Cape Town joins the list. Battery Park is a new urban park that connects the Waterfront to the city through a series of scenic pedestrian routes, recreation and retail activities. 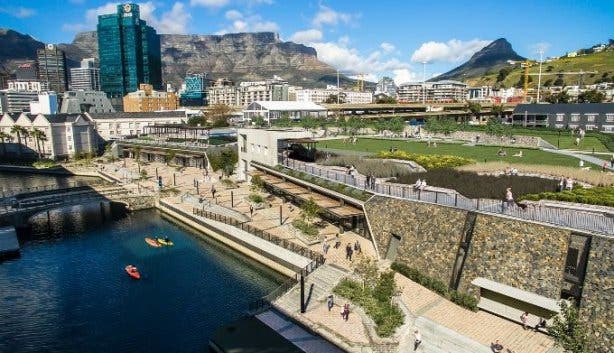 It’s a green space that forms part of the Canal District of the V&A Waterfront. It is now open to the public and here's what you can expect. Grab your friends and come and spend the day stand-up paddling along the canal. A range of watersport activities are available, ranging from SUP to kayaking and swimming. 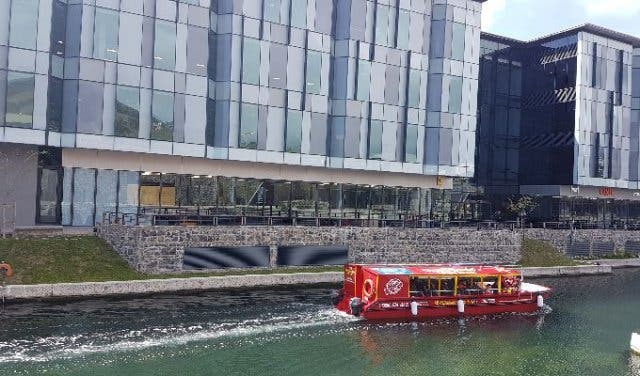 In addition, you could also catch a water taxi between the Cape Town International Convention Centre and the V&A Waterfront. 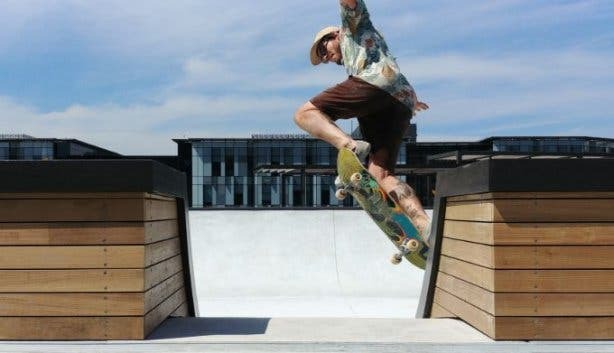 In a bid to make Battery Park accessible and interesting for all ages, a public skate park has been built and is free to use. 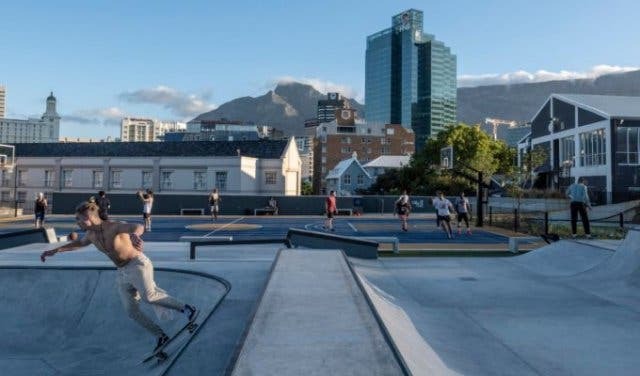 With the picturesque Table Mountain in the background, it's becoming the most Insta-worthy new destination in Cape Town. 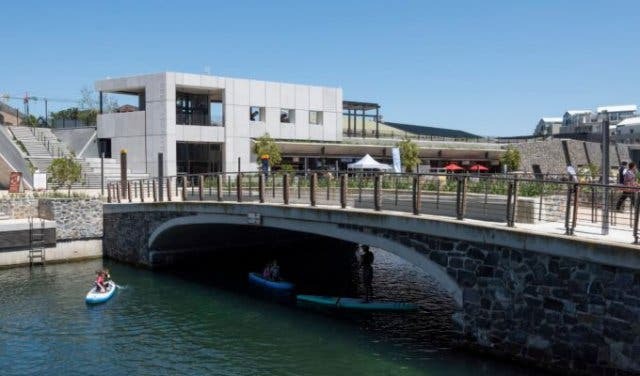 Grab a coffee nearby and start your run or walk or run along the pedestrian paths in the fresh scenery. Grab a bike and explore the area from a different perspective. 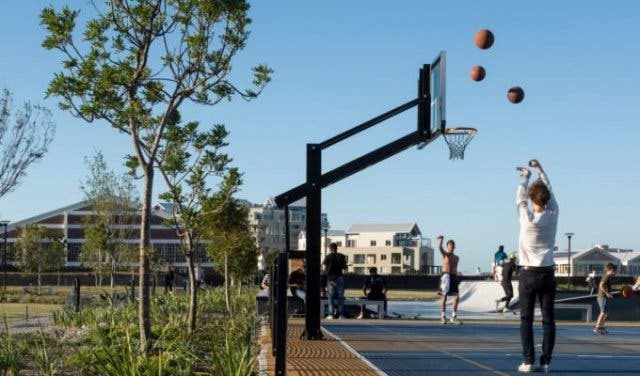 The basketball court invites you to enjoy an after-work game, and can double up as a soccer field, too. You can experience open-air sunset and sunrise free yoga. The family-friendly area will consist of a play park featuring a jungle gym, swings, rocking horses, and a scooter path. If you fancy an outdoor movie under the stars, Battery Park is one of the new venues for the Galileo Open Air Cinema. With plenty of fynbos gardens and benches, the park is the perfect place for a picnic. 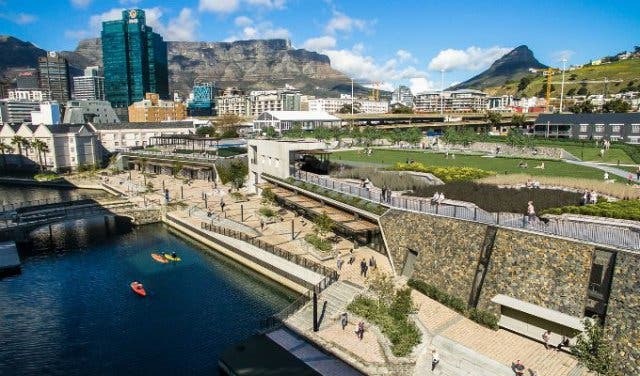 You can enjoy exquisite views across the V&A Waterfront and the surrounding city streets. 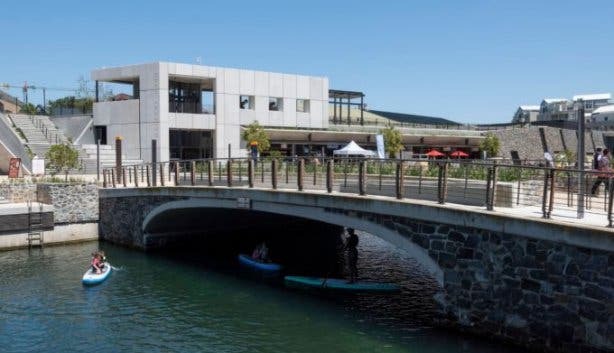 You can watch water activities or simply wander along the water's edge and gaze at Signal Hill. In addition, the park is wheelchair accessible. 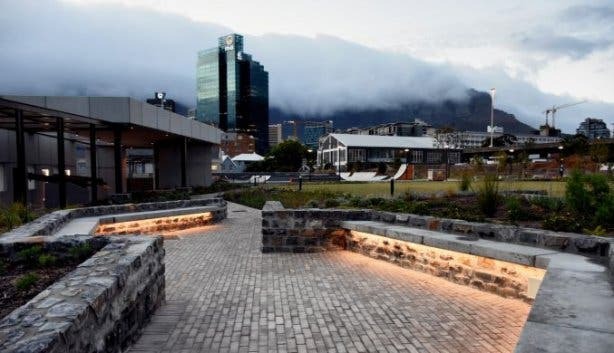 The ruins of the historic Amsterdam Battery have been retained in the Park as a new heritage site. You can learn more from the heritage storyboards. 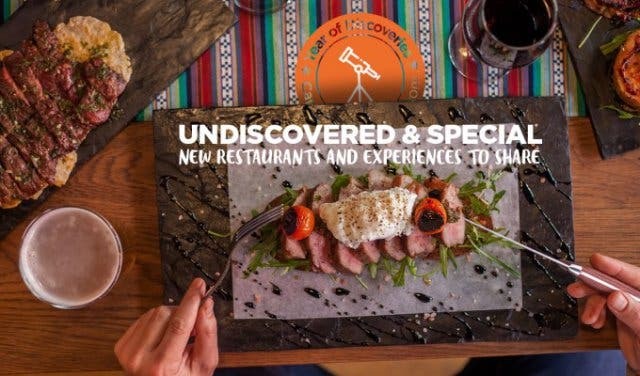 Stop by for something to eat and drink from a selection of eateries tempting you with the likes of freshly brewed coffee and chocolate croissants. Shop or window shop a host of niche companies, showrooms, and boutique stores offering specialist products and services. A special thanks to @dhk Architects for sharing this awesome news and new images of this exciting new city neighbourhood with us. 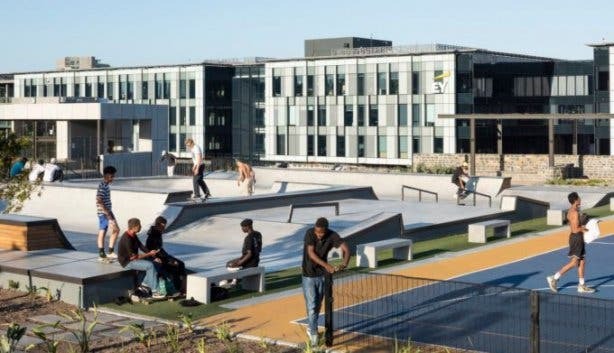 Find out more about Battery Skatepark. 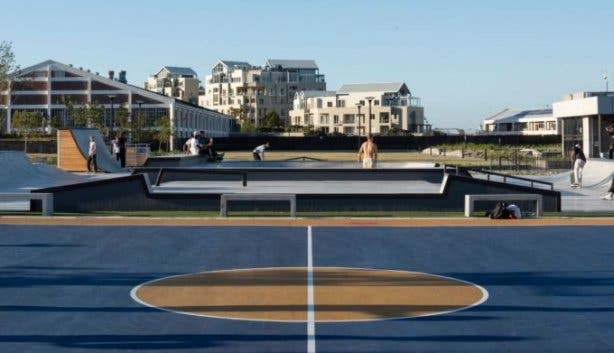 Hout Bay is getting an exciting new development called Eyethu Skatepark. Hungry? 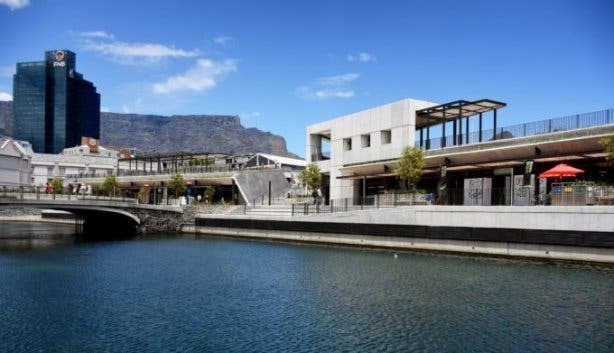 Grab a bite to eat at the V&A Food Market. Looking for something exciting to do in the area? Check out Hint Hunt. 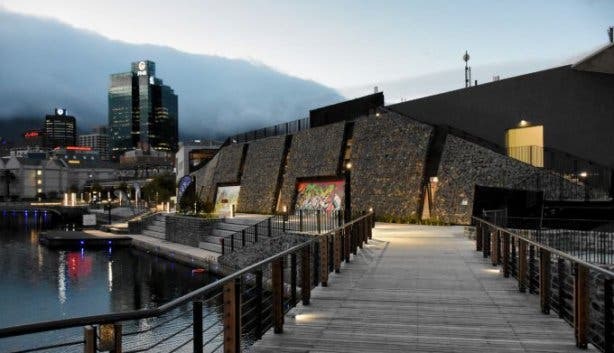 There are plenty of things to do in the V&A Waterfront, including be entertained by the funniest comedians at Cape Town Comedy Club.